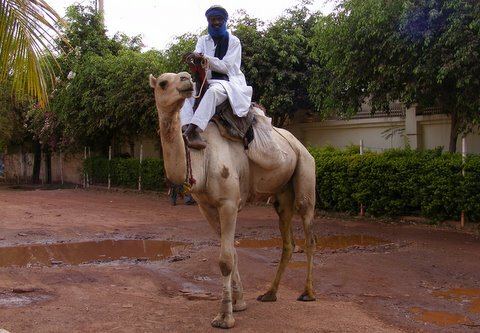 Wow – a Touareg man riding dromedary camel!!! 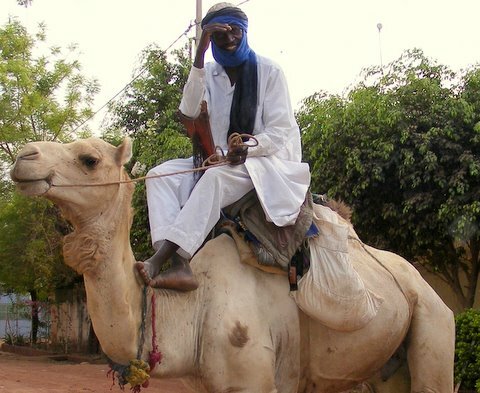 Now, you may think this is perfectly normal in a country which contains a significant proportion of the Sahara Desert, but here in Bamako you really don’t see them that much. Goats, sheep, donkeys, zebus, chickens – of course! But not camels! He was happy enough for me to take his photo but – like most men riding camels I’ve come across – he wanted some monetary recompense for the privilege! Other interesting happenings in my neighbourhood include the African Wedding celebration I blogged about last October (read it here).